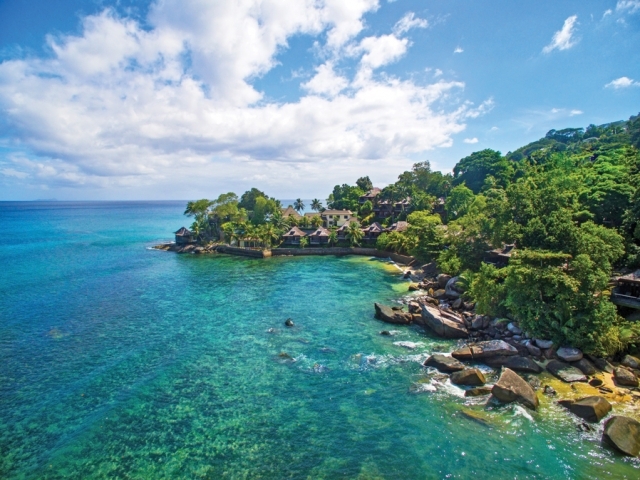 Hilton Seychelles Labriz Resort & Spa is the only resort located on Silhouette Island. The resort’s 110 one-bedroom villas and the Silhouette Estate can be found nestled in the hillside amongst lush gardens, and scattered along the beach. 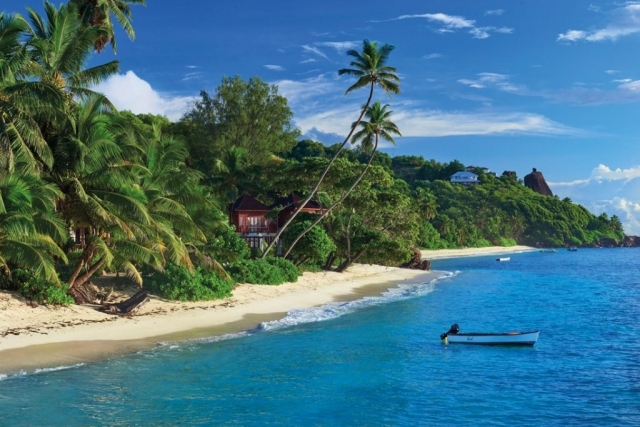 Choose from Garden Villas with spectacular views of mist-swathed Mount Dauban; Beachfront Villas with the option of a plunge pool where guests can wake up with views of the sun rising over the Indian Ocean; Deluxe Hillside Pool Villas, a private hideaway with a cascading pool and outdoor rain shower; or Deluxe Beachfront Pool Villas with the ocean just metres away. For those in search of something more exclusive, Hilton’s Silhouette Estate, located in a quiet corner of Silhouette Island, provides the ultimate luxurious private escape in paradise. 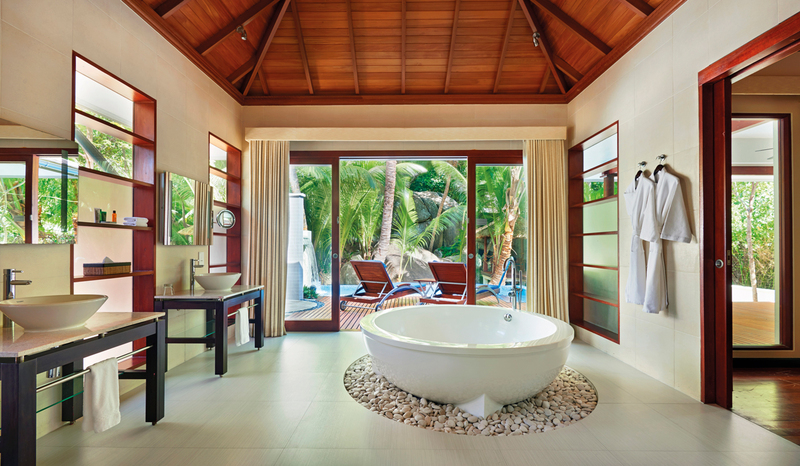 The villa offers unmatched privacy, unobstructed, jaw-dropping views of the Indian Ocean, as well as a dedicated personal concierge service on hand 24 hours a day. Silhouette Estate boasts a spectacular swimming pool where guests can enjoy endless ocean vistas, as well as private access to a brilliant white sandy beach. Guests checking into this idyllic getaway can enjoy exclusive benefits including a personal butler service, private helicopter or boat transfers, bikes designated for their use only, sparkling wine on arrival and daily refreshments and fresh fruit served in their villa. There is also the option to enjoy breakfast in the villa’s private gazebo and in-villa romantic candlelit dinners. Labriz Resort & Spa boasts seven dining options, all set in varying locations from beach to lakeside and with private dining options available too. From fine Italian cuisine at Portobello, to modern Seychellois food with hints of the island’s English and French heritage at Grann Kaz, to Japanese dishes at Sakura and Teppanyaki, guests will not go hungry on their holiday! Foodies can also experience authentic Creole cuisine at Café Dauban and even try their hand at cookery classes, allowing them to take home recipes from the island to remind them of their holiday in paradise. Labriz Resort & Spa is nestled amongst spectacular mountains, offering guests a little more adventure than the usual five-star beach holiday. For those in need of a total break, the resort is located along a sandy one-kilometre beach. Active guests can spend their days hiking through the rainforest and Marine National Park, or diving in the rich marine ecosystem, fishing in the shallows and exploring the island by bicycle. 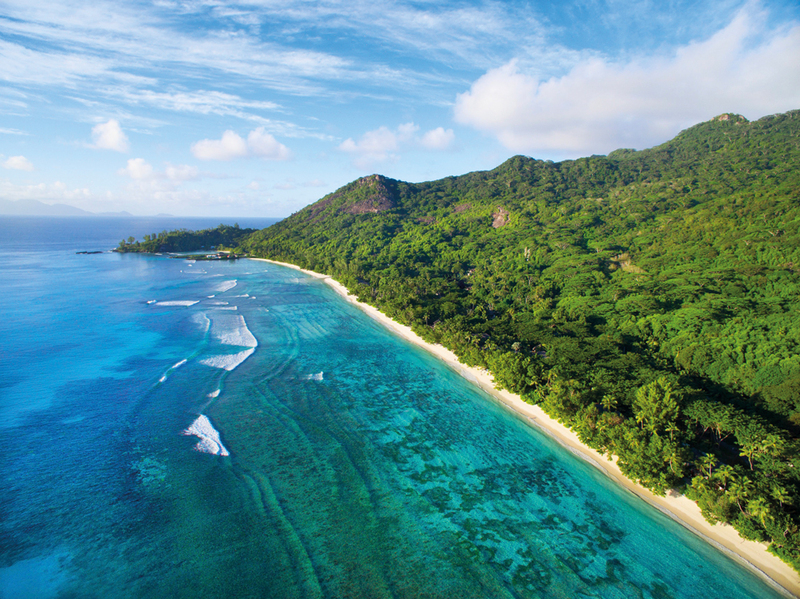 On their adventures, guests should keep an eye out for the island’s amazing fauna, including tiger chameleons, giant tortoises and Seychelles Sunbirds. Other activities include sunrise & sunset beach yoga, kayaking, private tennis lessons, crazy beach mini golf and archery. For those looking for complete tranquillity, head to Labriz’s award winning eforea Spa and return feeling rebalanced and revitalised after indulging in a range of pampering treatments. This stunning boutique five-star resort has been referred to as the Indian Ocean’s ‘Leading Villa Resort’ since 2007 by the World Travel Awards, Northolme Resort & Spa consists of a host of charming private villas, all with private balconies offering panoramic ocean views, daybeds, sun loungers and dining tables. Northholme is the ideal option for newlyweds, and those looking for some peace and quiet. Guests can choose from King Hillside Villas set high amongst the tropical forest; King Oceanfront Villas on stilts above the water; Grand Oceanview Pool Villas with views across the ocean; and a two-bedroom Northolme Villa boasting the largest private pool in the north of Mahé and bathrooms with whirlpool baths. Northolme Resort & Spa has three restaurants, Ocean View Bar and Restaurant for lighter meals and delicious cocktails; Les Cocotiers to enjoy the ultimate al fresco dining experience under the stars eating freshly caught seafood; and Hilltop Restaurant for one of their themed nights, where guests can watch chefs create their meals at live cooking stations. The combination of the resort’s secluded position and the wide range of activities available, make Northolme Resort & Spa a great destination for those looking for a holiday with a mix of relaxation and adventure. Between snorkelling, hiking, kayaking and diving to boat trips to the nearby islands and discovering what the island itself has to offer, there won’t be a minute to spare! Guests who love the water will be spoilt as the hotel boasts one of the best snorkelling areas on Mahé. After an active day either on land or sea, guests can either take advantage of the resort’s eforea Spa and book a pampering treatment, where ancient health traditions meet the contemporary, with a Seychellois massage or ocean release facial with muscle relaxing and anti-inflammatory properties. Guests can stay zen and relax back in their private pool back at their villas, or at the resort’s infinity pool, where they can watch the island’s spectacular sunset with a delicious cocktail in hand. Hilton Seychelles Northolme Resort & Spa is located in northwest Mahé, 25 minutes away from Seychelles International Airport by car or taxi. Prices start from €450/ £399* in a King Hillside Villa per night on a B&B basis, and €2400/£2131* per night in Northolme Villa on a B&B basis. 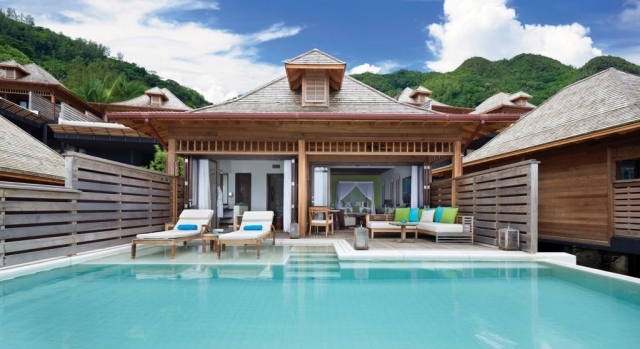 The DoubleTree by Hilton Seychelles Allamanda Resort & Spa is located in the south of Mahé, a boutique affordable luxury option. 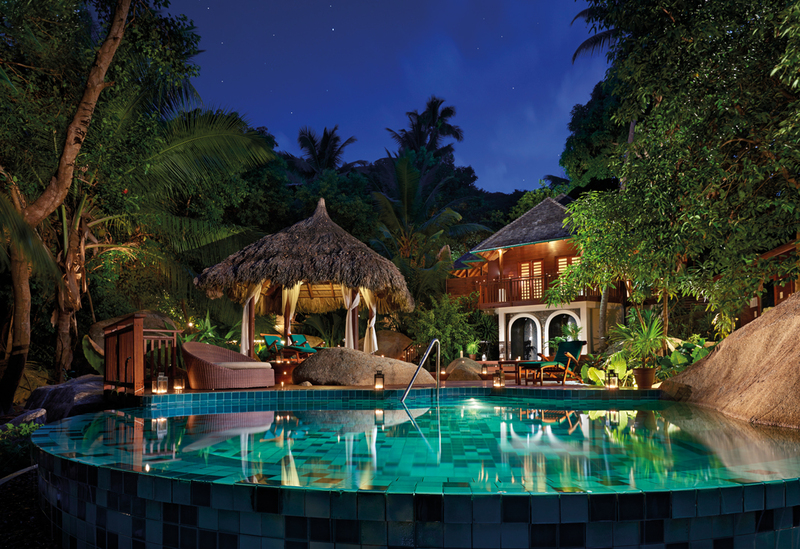 The four-star contemporary resort is one of a kind in this part of the world, with only 30 rooms, and a personalised service that surpasses other resorts in the area creating a smaller, more intimate environment in which to enjoy the Seychelles. Guests can dine at the hotel’s Les Palms Restaurant, tasting a wide range of cuisine at the relaxed buffet with live cooking stations. 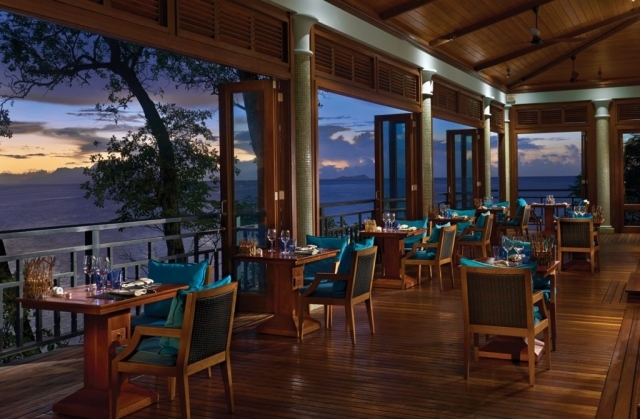 For lunch, guests can relax at Oceanview Bar and enjoy the magnificent vistas. For couples looking for a romantic getaway, DoubleTree can organise a number of activities such as a romantic candle-lit dinner on the beach, to an in-room jacuzzi experience. 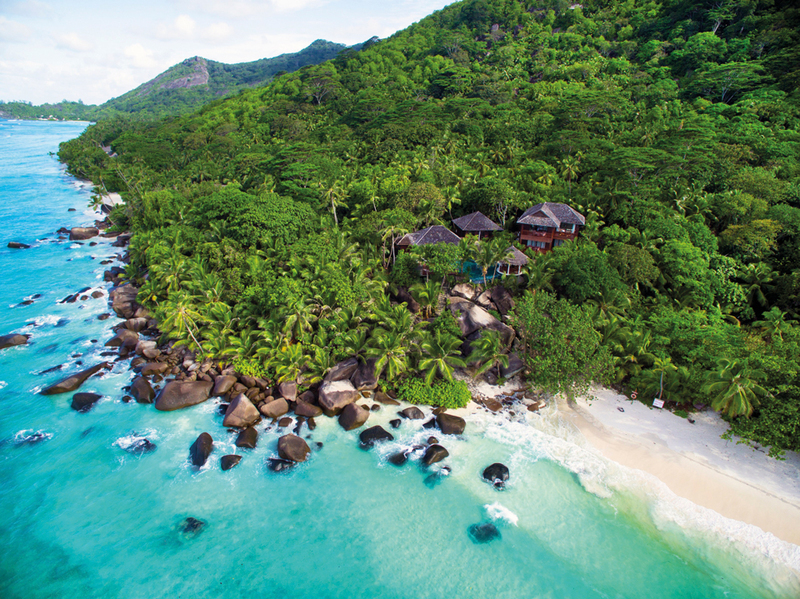 Guests can spend their days hiking through the island’s National Park, snorkelling off the beach of Anse Forbans and seeing the best of the Seychelles’ aquatic life on a glass-bottom boat tour. After a day of exploring, guests are invited to wind down in the resort’s eforea Spa with an organic treatment. DoubleTree by Hilton is located only 20 minutes from Pointe Larue International Airport by car or taxi. Prices at DoubleTree by Hilton – Allamanda Resort & Spa start from €300/ £266* in a King Deluxe Room with Ocean View per night on a B&B basis.